PAGASA Pres. Steven T. Cua was one of the guests at the Coca-Cola X’mas Cocktails held at the Makati Shangrila. This year’s party was honored by the presence of Coke’s Global CEO Mr. Irial Finan. Banking them is Regional Sales Mgr. 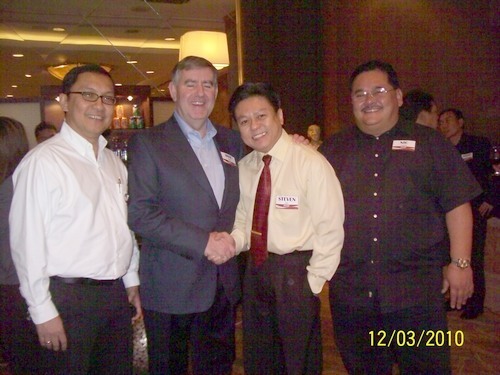 for GMA-South Morfar Morelos (left) and –North Nicollo Caluag.